lloyd farmhouse STILL not secured! caln township are you listening? Historic Stewardship involves documenting a site before it becomes the next High Density housing project, raising awareness and speaking out – Nestled in Downingtown is a parcel dating back to Penn’s Land Grant Charter of the late 1600s. The ruins of the barn and outbuildings are stunning examples of stonework using Downingtown Blue Limestone from 1800 -1940, overgrown formal gardens in which one finds one of the largest (and oldest) Japanese Maples in Pennsylvania sit waiting to be brought back to life. 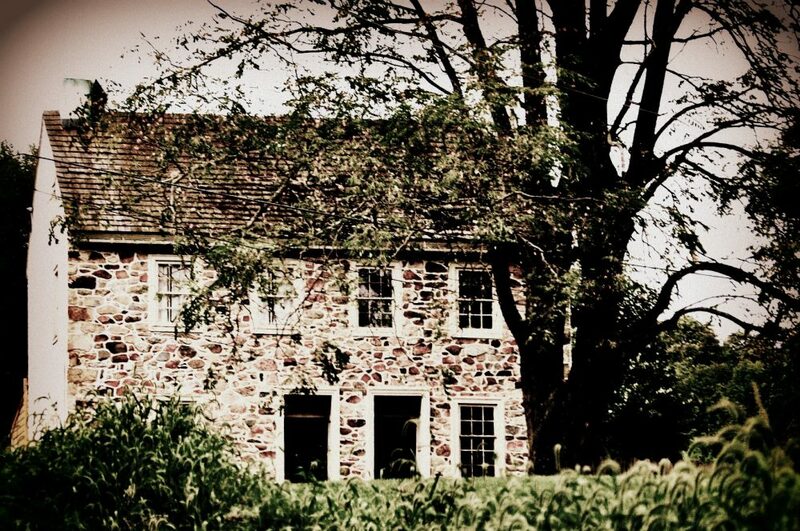 The farmhouse is circa 1795 and is rapidly disintegrating, but has 8+ bedrooms and beautiful architectural elements. This will shortly become high rise, high density commercial/residential housing for 1000+ new residents. The fields will be gone, the fox, deer and birds will find other habitat. Of course, we have the ability to speak up and say that this doesn’t have to happen quite like this. Caln Township will discuss this project on February 12 at their meeting, DAHS (Downingtown Area Historical Society) suggests that you attend and listen. What in the hell is wrong with Caln Township and whomever the developer is? Literally a week ago I wrote about this as then people were also inside the historic farmhouse on thr property because it was wide open and not properly secured. It’s like someone doesn’t want this farmhouse to survive do they? Japanese Maples are among my favorite trees! And who knew this property had the oldest one? Or had at one time such fabulous gardens? Who has old garden photos to share??? This entry was posted in current events/news, development, farms, government, historic preservation, land preservation, politics and tagged caln township, chester county, life, Lloyd Farm, penn land grant, photography, robin ashby photos by carla. Bookmark the permalink. Thank you so much for this. Yes, the DAHS should be speaking about this and be part of this. Everyone has been wondering how something with this much history is being treated in such a cavalier manner. Yes Caln Township, listen, just once, to your citiizens who comprise this community and stop ruining everything. People moved to this area for a reason and that reason for scenery and open space is fading fast due to your quest for a larger tax base. There has to be a balance. This Builder doesn’t live here for if he did, he would already be aware of the horrific traffic issues we already have. The fact that he feels he has the right to add to them and not have to live with it himself is amazing. He’ll just go off and do this somewhere else. There has to be responsibility with development. For him it is just his job. For us, it’s our life and community.